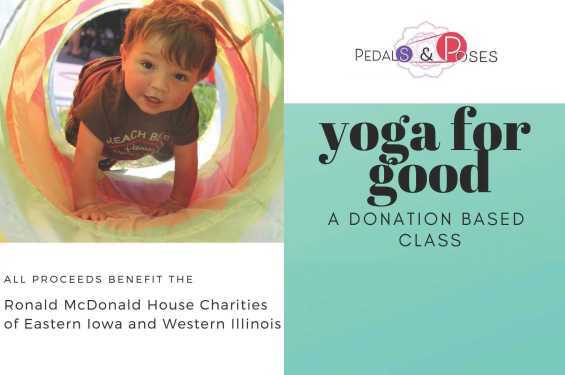 Cara Viner of Pedals & Poses will be hosting an hour of yoga at Big Grove in Iowa City to raise money for Ronald McDonald House Charities of Eastern Iowa and Western Illinois. Donations accepted for participation, all are welcome! Doors (and the bar) open at 9:15 am and class starts at 9:30 sharp, bring your own mat! Stick around after the class to learn more about the Ronald McDonald House. Kitchen will open shortly after the class.